Isotech’s Precision Linear Shafting is ideal for a wide range of linear motion applications. Isotech’s Linear Shafts are constructed from precision hardened and ground carbon steel or stainless steel and are available in a wide range of diameters and lengths. The Type W carbon steel shaft and Type WRV carbon steel shaft with hard chrome plating are made from materials Cf53 and Ck55 and are available in metric measurements, with diameter ranging from 5mm – 50mm and lengths of 3,000mm or 6,000mm. 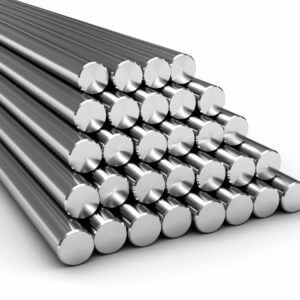 The Type WRB stainless steel shaft is made from the material X46Cr13 and is available in metric measurements, with diameter ranging from 5mm – 50mm and lengths of 3,000mm or 6,000mm.